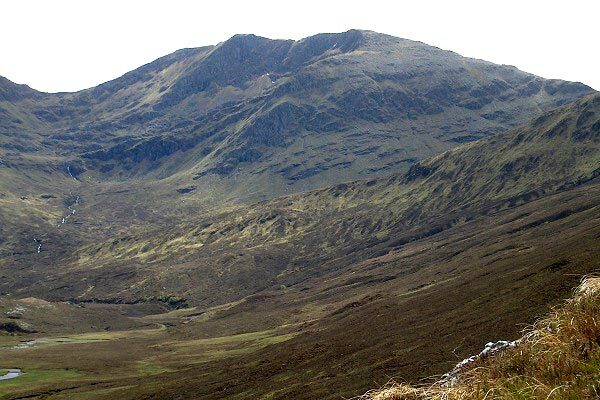 Sgurr Choinnich is the most westerly of a group of three mountains at the W end of Loch Monar. 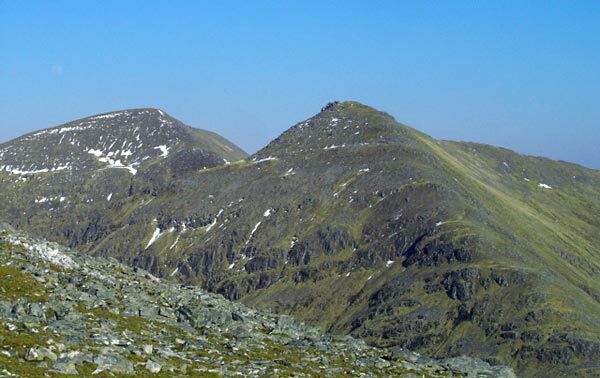 Sgurr Choinnich has steep and rocky slopes with crags on its N face. Most other slopes are steep but accessible. 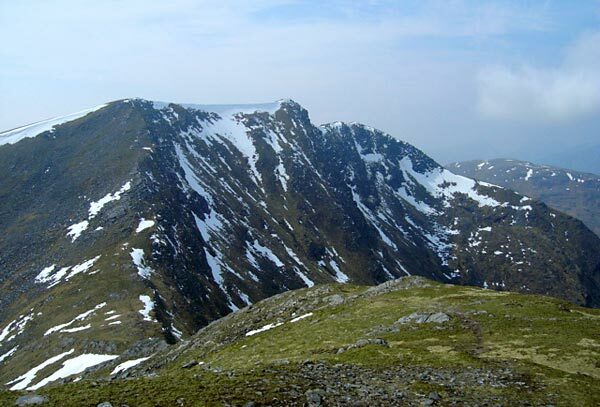 The curved summit ridge is orientated NW to SE then S to Sgurr na Conbhaire (881m), overlooking Loch Monar. To the W a narrow ridge slopes down to Bealach Bernais and this is the normal ascent route. To the E a narrow col leads to Sgurr a' Chaorachain. Sgurr Choinnich from Sgurr a'Chaorachain. 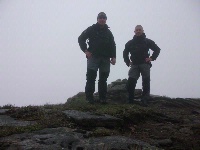 Summit of Sgurr Choinnich, looking east. The northern aspect of Sgurr Choinnich seen from the Glenuaig Lodge track. 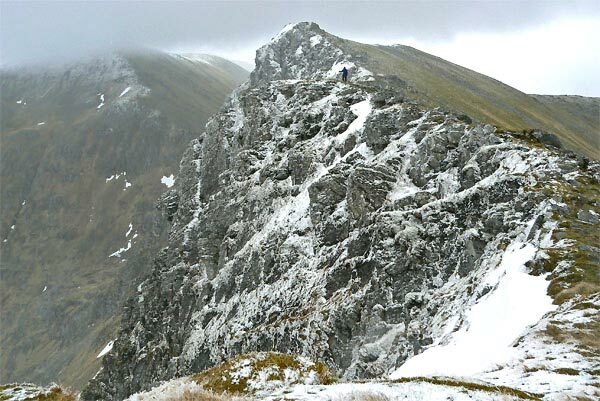 The summary information of one or more ascent routes that include Sgurr Choinnich. 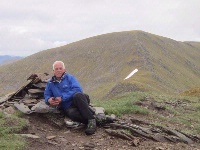 1 1561 m 18.25 km 6.5 hrs Sgurr a' Chaorachain [Monar] and Sgurr Choinnich Moderate route with some steep slopes. 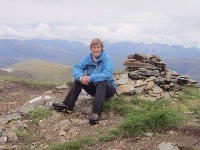 Lynda at summit Sgurr Choinnich 10th July 2010, with Sgurr a Chaorachain behind. 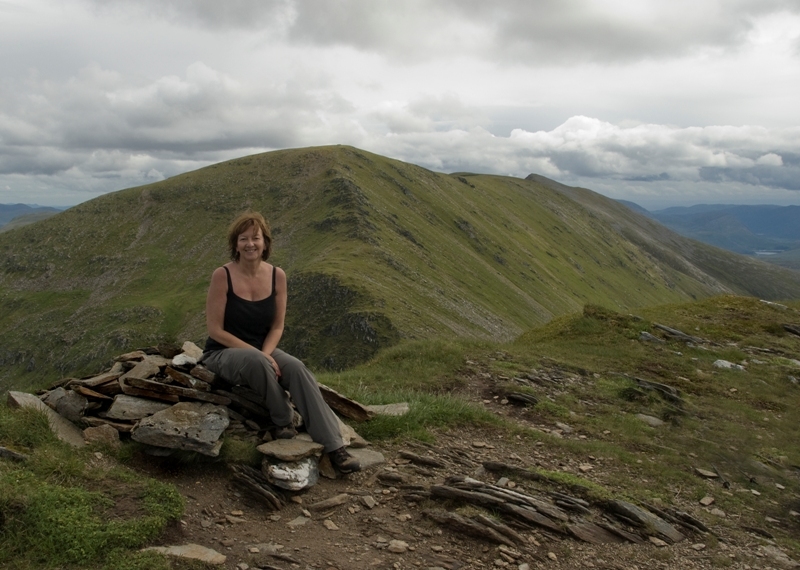 Post a few words about Sgurr Choinnich or read what others have had to say. This hill sits in a great location amongst some other fine hills. We approached this hill from Craig taking a bike for the first few km even if it was pushed most of the way. After leaving the bikes we made way for the Bealach Bearnais and ascended the hill via its North West ridge which offered occasional easy scrambling. The first hill on a day that also included Sgurr a' Chaorachain & Maoile Lunndaidh.